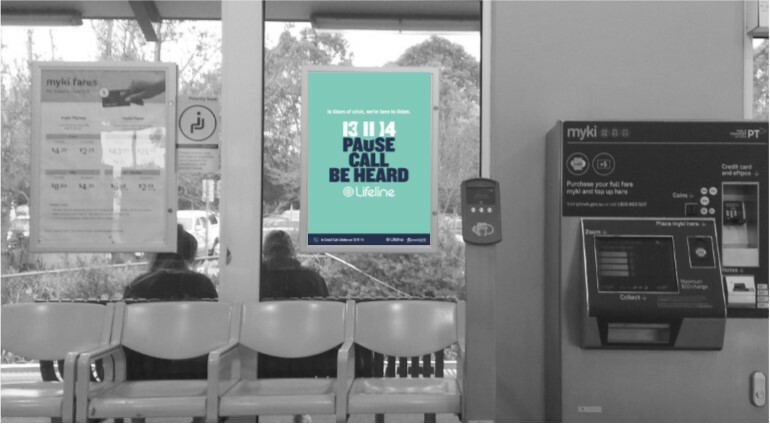 Throughout the month of May, researchers from the Centre for Mental Health have visited the platforms of 10 Victorian railway stations to evaluate the impact of the Lifeline “Pause, Call, Be heard” campaign. The campaign, conducted by Lifeline and TrackSafe, has been running at railway stations since November 2017, aiming to promote self-care, help-seeking and the use of Lifeline crisis support services as well as prevent rail suicidal behaviour. The promotional campaign included colourful posters and digital billboard breathing visuals (city stations only) that encouraged commuters to pause, breathe, and to encourage help-seeking from Lifeline mental health support. Led by Dr Lennart Reifels, researchers are investigating if the promotional campaign materials were noticed by train users, and if noticing these promotional materials prompted any action to engage in the breathing activity, improve how they take care of themselves, contact Lifeline for themselves or recommend Lifeline to someone else. Data on rail suicidal behaviour and crisis calls will also be used in evaluating the impact of this campaign.